Planting Rates: packet covers 20 sq. ft. The largest of the red sages, this perennial plant gets its botanical name from the penstemon like rosette from which it grows. It is found in the wild in an extremely limited range of locations. It was once thought to be extinct, but small populations have since been found. 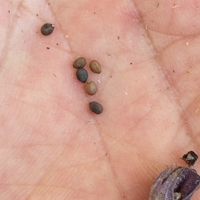 Plant this seed and help to keep an endangered species alive for future generations to enjoy. Thanks to Richard Hensley's dedication to preserving this plant we can offer this seed to you. 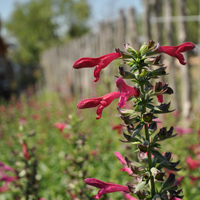 BN NOTE: Big Red Sage is a warm-season perennial. If growing in containers, try cold stratify just like milkweeds early in year. 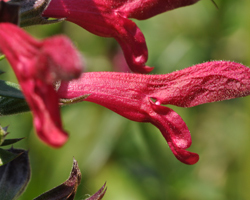 Native Plant Society of Texas has written an article about a stand of big red sage on the Guadalupe river. It's worth reading to learn more about this rare wild species!